Bless you and your 'family'. My husband was diagnosed in May 2008, just after his 69th birthday. It progressed very quickly (considering that some, his Mother included, decline for ten years or more) and on January 30, 2012, his/our struggle ended. Our three children, helped with caregiving as much as their busy lives would/could allow. However, in November of 2012, it became apparent that I could no longer keep him at home. He was falling, moving and breaking things (even though I had 'baby-proofed' the house) and sometimes was aggressive. His three months in an Alzheimer's facility were necessary for his safety and my sanity. I journaled daily, and our son had began a video diary to document the journey, and keep the memories of Bill's final years. Enjoy EVERY day that you can. Again, bless you and the wonderful community of support. Great story, Judy. My husband, Tom, was diagnosed seven years ago at the age of 63, and we are still living a fairly active life, though things are changing rather rapidly now. There are so many ways to keep life and love as normal and strong as possible. 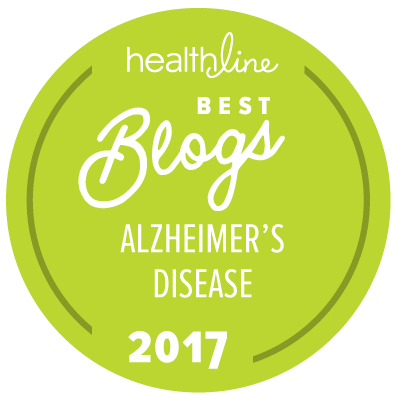 I've been writing for Maria Shriver's blog on Alzheimer's and also writing poetry, which has helped me to keep my balance and be a better caregiver to Tom. I send you love and warm wishes for both you and Steve and hope that you will gain strength for your journey from all the people who are supporting you. It was inspiring to see the number of businesses and organizations involved, taking time out of their Sunday morning to show their support and contribute to raising funds to support research and education in hopes that one day, we’ll find a cure for this life-altering condition. Also incredible was the number of seniors who turned out for the event and the number of assisted living and senior living facilities who brought residents. Families came out in droves, wearing matching t-shirts to support their loved ones currently suffering from Alzheimer’s. Dear Judy my husband was diagnosed at age 60. He can’t do little simple things that we take for granted.i am trying to get him out and travel before he can’t go anymore. This disease has had an affect on me too. My husband Danny there wasn’t anything he could not do, this breaks my heart . I thank you SO much for sharing your story! I will carry you and your Dad in prayer with me on Friday as we dedicate our day to all those who are fighting this disease and all those who have fought it! Alzheimer's disease may have ravaged his brain, but Jesus has set his soul free! May God hold you in His Hand until you are reunited! Every story out there is so inspiring – The spousal caregivers with your never-ending patience and ENDURANCE to help your partner face the challenges that come minute to minute… or not – you just never know, do you?? My dad was diagnosed 7 years ago at age 65 with MCI and has full blown Alz and mixed dementia as of 4 yrs. ago. My mom is his full time caregiver and one of the most amazing women I have ever had the chance to know. She had always been taken care of, moved from her parents home to becoming a wife, and never knew the independence that I have. I lacked appropriate respect for her until the last 7 years (actually 6 – the first year post diagnosis was NOT pretty), but after that she called me and asked how to balance a checkbook, how to figure out all the components of tracking income, bills (all that independence that she had struggled with in me) She learned and created an amazing budget – in the process we discovered over $100k in debts that she was not aware of. It nearly wiped them out financially but she has embraced her budget, and her new condo that she can manage(vs. the 4000 sq ft house on 3/4 acre). Dad has survived pancreatic cancer (less than 5% of people do…) and a subsequent heart attack. God has a message for him to teach us, and I am still struggling to figure out what it is.One thing I have learned is an admiration second to NONE for my mom – she is unbelievable….. and dad can still play a mean game of dominoes. I am looking forward to working with the Alzheimer's Association. Shamefully, I am just getting involved, however I feel it is never to late to get on board a worthwhile cause, you just need to make sure you are applying all effort to help make it a success. 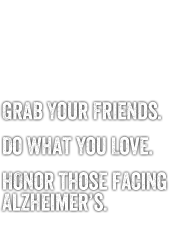 I am the Executive Director of a Senior Activity Center and I see various levels of dementia and Alzheimer's and it is heart wrenching when I can not make my clients life better or help them to Alleviate some of the confusion they are experiencing for those moments. It is also frustrating when I find that family member, although they believe they are helping by making decisions for mom and dad without knowing what the effects can be. I can say a lot in my frustration, my lack of understanding, and my willingness to educate myself on this vast life changing experience. I pray for a cure. I pray for methods to be able to help my clients family understand what has really changed in their lives. CONGRATULATIONS TO YOU AND EVERYONE IN YOUR COMMUNITY. YOU ALL DID A WONDERFUL JOB. CONTINUED SUCCESS. YOU ARE AN INSPIRATION TO OUR TEAM . My husband was diagnosed 3 years ago. I had to retire to stay home with him due to the fact homecare was using up all our savings. He has no short term memory and it is very hard for me, He had his right leg amputated 4 years ago and can not use a prosthetic. We are married 42 years and I just can not think of putting him some place. But , I have only one son and he is working very hard to manage his family and I try not to burden him. My husband is a good man, although he has always been selfish, now more-so than ever. I am never away from him and it is very hard to deal with this 24/7. I love my husband but I need help. Any suggestions are welcome. Thanks for listening. I know how hard it would be to face the bitter truths like this. The only thing that could be done to prevent him from getting adversely affected by the disease is to keep him busy and fulfill his wishes.